Get ready to get in the best shape of your life with the March 2016 Beachbody Challenge Pack sale. Brand new this March 2016 is 22 Minute Hard Corps by Tony Horton. For people who want a straightforward and effective workout in a minimal amount of time – just 22 minutes. This Challenge Pack is perfect for people looking to pair exercise with nutrition to deliver results. AND, PiYo is available in this month’s challenge pack sale as well as 3-Day Refresh. Challenge packs the best way to get fit and healthy, with everything you need to succeed: fitness program, one month supply of Shakeology, and access to Team Beachbody Club and Beachbody on Demand streaming workouts! Here’s the list for sale this month starting March 1. Grabs yours and make this your best month yet! For a limited time only, Team Beachbody is offering a free PT Sandbag, a $35 value, with the all-new 22 Minute Hard Corps and Shakeology Challenge Pack. You’ll get 22 Minute Hard Corps, a month’s supply of Shakeology and access to Beachbody On Demand. 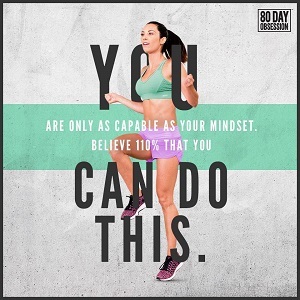 With this Challenge Pack, you will receive the 22 Minute Hard Corps fitness program, Beachbody Performance™ Supplements Energize and Recover, and a free 30-day trial membership to the Team Beachbody Club, plus the PT Sandbag – an easy-to-use training tool that helps sculpt and tone your entire body. No matter what your fitness level – you can benefit from PiYo. Beginners can follow the modifications and even super-fit athletes can use it to improve core strength and flexibility through targeted Pilates-and-Yoga-inspired moves. You’ll receive PiYo, Shakeology and a 30-day membership to Team Beachbody Club. With this Challenge Pack, you will receive the PiYo fitness program, Shakeology, a 3-Day Refresh® kit, and a free 30-day trial membership to the Team Beachbody Club, where you can stream their workout anytime, anywhere. Grab your Challenge Pack today!